This vegetable tart with a cheddar cornmeal crust is not only a feast for the eyes, as you can see in the gorgeous photo above, but a feast for the stomach as well. 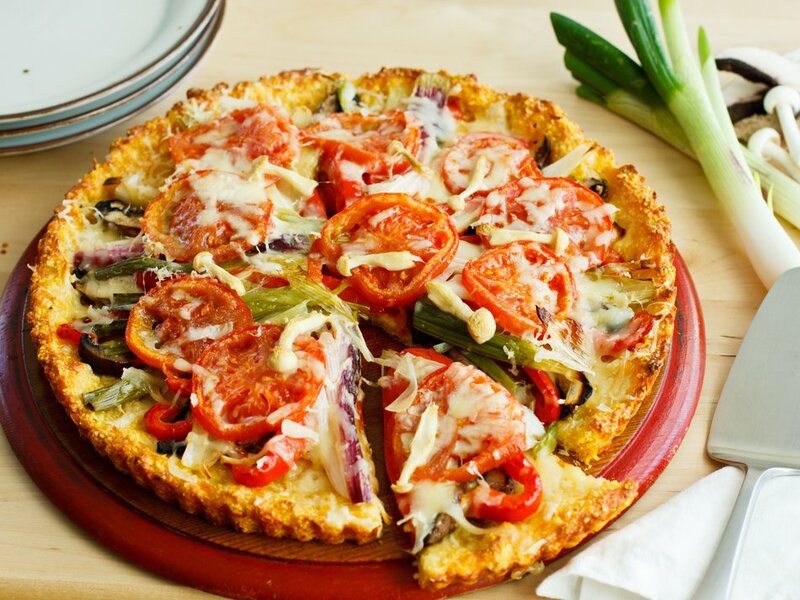 The flavor of the cornmeal crust is delicately enhanced with Cabot Sharp Lite50 Cheddar and the vegetable filling features a lovely combination of fresh, healthy vegetables, including tomatoes, spring onions, portobello mushrooms, and red bell peppers. After you make this vegetable tart, which is in the new Cabot Creamery Cookbook, share the recipe on Facebook, Pinterest, Instagram, and Twitter with family and friends. To make the crust, preheat your oven to 400ºF and coat an 11-inch or similar-size tart pan with olive oil spray. In a bowl, stir together the cornmeal, Cabot Sharp Lite50 Cheddar, sugar, and salt. In a separate bowl, whisk the egg until frothy and then whisk in the milk and olive oil. Stir the milk mixture into the dry ingredients until well blended. Press the crust mixture over the bottom and slightly up the sides of tart pan and bake the crust until lightly colored, about 12 to 18 minutes, and remove from oven. For the vegetable filling, line a large rimmed baking sheet with parchment paper and arrange the tomatoes, onions, portobellos, and red bell peppers in a single layer on the sheet, and drizzle with olive oil. Season with salt and pepper and bake vegetables for 15 minutes. Let cool slightly. Place a layer of portobello slices on the crust and top with a layer of red peppers. 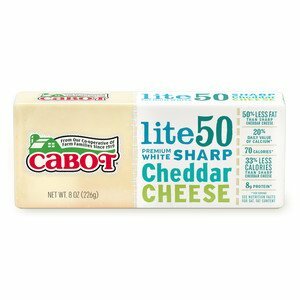 Sprinkle with half of the grated Cabot Sharp Lite50 Cheddar cheese. Add a layer of onions and a layer of tomato slices. Sprinkle with the remaining cheddar. Arrange enoki mushrooms on top and sprinkle with grated Parmesan. Bake the tart until lightly browned on top, about 30 minutes. Let cool slightly and then enjoy the deliciousness! Looking for another wonderful vegetable tart recipe? Make our Broccoli-Cabot Cheddar Tart next! Cabot has relied on our farm families to make the highest quality dairy products for over 100 years. Our commitment to quality is what makes our products stand out from the rest - and why you’ll love our recipes. We’d love for you to rate and review this vegetable tart recipe once you’ve made it! PREHEAT oven to 400ºF. Coat 11-inch or similar-size tart pan with olive oil spray. STIR together cornmeal, cheddar, sugar and salt in a bowl. In another bowl, whisk egg until frothy; whisk in milk and oil. Stir milk mixture into dry ingredients until well blended. PRESS crust mixture over bottom and slightly up sides of tart pan. BAKE crust for 12 to 18 minutes or until lightly colored. Remove from oven. LINE large rimmed baking sheet with parchment paper. Arrange tomatoes, onions, portobellos and peppers in single layer on sheet and drizzle with olive oil. Season with salt and pepper. BAKE vegetables for 15 minutes; let cool slightly. PLACE layer of portobello slices on crust. Top with layer of red peppers. Sprinkle with half of grated cheddar. ADD layer of onions and layer of tomato slices. Sprinkle with remaining cheddar. Arrange enoki mushrooms on top and sprinkle with Parmesan. BAKE tart for 30 minutes or until lightly browned on top. Recipe courtesy of Meg's Food Reality.